You see Landry’s behavior in Season 1 was abhorrent. He betrayed his friend by carrying on an affair with his wife, among countless other immoralities. The worst part was his continued hypocrisy and self-righteous indignation regarding his sins. Throughout Season 1, he acted utterly justified for his terrible behavior. It was all so reprehensible to watch; it was nearly impossible to imagine continuing. Then the trailer for Season 2 happened. It indicated that Landry would own up to his wrongdoing and forge a path towards redemption. That, along with the casting of Mark Hamill as a tough-as-nails Templar, gave rise to a new hope (wink). Almost halfway through “Knightfall’s” next season, there is a verdict. Season 2 merits being seen. The second season is heading in a promising direction. Landry is facing the consequences of his actions, and an array of new characters have entered the stage. Mark Hamill’s is the highlight. Hamill’s stellar performance as Master Talus is a winner that sends electricity coursing through the series. It is the jolt, “Knightfall” needed in Season 1. Too many characters were lifting Landry up back then, making his humility check by Master Talus a much-needed boost to the contrary. In its second season, “Knightfall” has also managed to streamline its focus. At first, glance, moving from the Knights Templar to King Philip IV’s court may seem a bit fragment without Landry as the conduit. To its credit, the series has managed to make the inter-story transitions, cohesively. The emergence of Philip’s grown children has helped supply the royal family’s story with added ammo. Philip’s decent to the “dark side” is continuing to progress. Actor Ed Stoppard not missing a beat as he shifts gears from playing a hero in Season 1 to a villain in 2. You could feel Philip's moral downfall coming throughout Season 1, as Landry’s betrayal seemed prime for the impetus. If Philip’s downward spiral is an attempt to woo viewers to Landry’s side, it is not working with this one. The thing that “Knightfall” does seem to realize is that capitalizing on Philip’s downfall will not make Landry rise. He must earn that on his own. Comparative redemption is not redemption. It is a plot device. While Landry has shown his dedication to receiving redemption in the eyes of his brothers, something has been missing. He does not seem to be expressing any genuine remorse for his adultery. The disgraced Templar has acknowledged it was wrong and not much else. Until he expresses remorse for his affair and regret for betraying Philip, it will all continue to feel empty. No matter what atrocious deed Philip does now, it does not excuse or lessen what Landry did then. Landry’s brothers are not the only people he did dirty. Hearing him conveniently focus on his Templar-related misdeeds while ignoring others makes his overall apology ring hollow. At least, “Knightfall” is acknowledging he did wrong. The first season left the impression he was absolved by “love.” That is cold comfort for those who see a betrayal as a betrayal. Season 1 Landry was not likable and by no means a hero. Hints of his supernatural origins have seemingly been erased along with any mention of his mother. Some may see that as abrupt, however, a shift in direction was needed and it is working so far. Overall, the prognosis for “Knightfall” is strong. It blew things up and is starting to build. De Nogaret, along with several others, was not one of the casualties in the soft reboot. “Knightfall’s” version of Littlefinger ("Game of Thrones") adds quite a bit to the show. He is the Machiavellian villain it needs. The third episode ends on an especially moving note that points to the road ahead. It appears to be one filled with lots of intrigue and meaning. Bravo, “Knightfall!” You have far from fallen. You have gotten up! 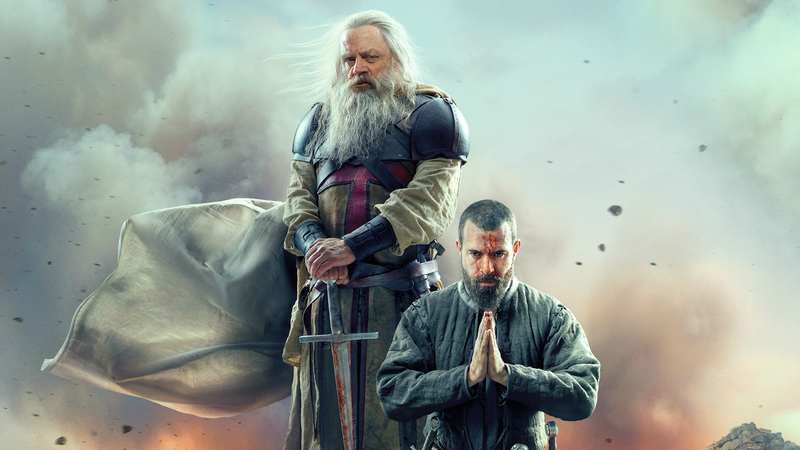 New episodes of "Knightfall" air Mondays at 10 p.m. ET on History.